Kevin Richards joined the Bermuda Business Development Agency, BDA, in 2015, bringing more than nine years of financial services experience, including two as marketing manager at GE Canada. Previously, Kevin spent two years in London with GE Capital International, and also worked for five years in the insurance industry with ACE Group in London and Bermuda. Kevin holds a BA and MBA degree from the University of Notre Dame, Indiana. At the BDA, Kevin is responsible for shipping and aircraft finance sectors. 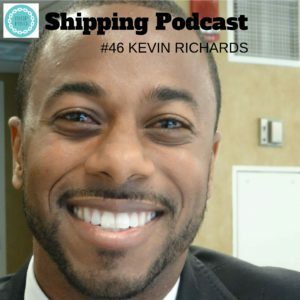 It is apparent that Bermuda is restructuring its shipping registry to attract more shipowning and management companies to the island, and Kevin is in charge of making that happen. We talk about the things that makes Bermuda attractive both as a flag state but also as a harbour for insurance and reinsurance business. Thank you for listening. Reviews on iTunes are what we are looking for and answers to the survey! Please assist in making us these favours! You can only follow the link.